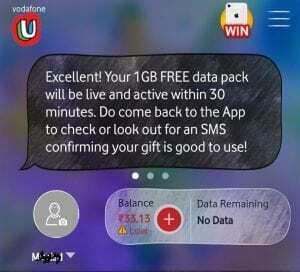 My Vodafone New User Offer – MyVodafone App is Offering Free 4G 1 GB Data For Vodafone Users on Downloading MyVodafone For First time. Old users can get Amazon Prime Subscription worth Rs.999 at Just Rs.499. So Download MyVodafone App For Exciting offers. For More Free Recharge Tricks & Paytm Cash offers. Subscribe to Bigticks Push Notifications. 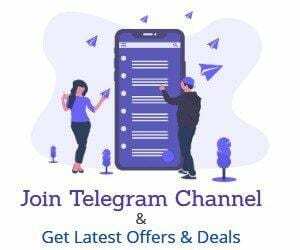 MyVodafone app gives you a one-stop solution for managing your Vodafone account, Vodafone postpaid online bill payments, Vodafone recharge packs, buying Vodafone data packs (2G/3G/4G), tracking Vodafone data usage and balance and availing exclusive 121 offers. MyVodafone App provides the fastest and most secure way of recharging Vodafone prepaid numbers and for Vodafone postpaid online bill payments. First, download My Vodafone app from here. Open app and login with your Vodafone number. Once You Logged in, You Can See the banner for 1GB Data Free. Now tap on Garb Now Button. Now You Will Get Free 1 GB 4G Data For Next 1 Month. This offer is Valid for First-time Users of Vodafone App. Offer valid for prepaid users only. Offer valid only on My Vodafone android/ios app. You need to activate this offer in the app only. Offer valid only for those whose Adhhar is linked with their number and their age is between 18 – 24 years.